*Mission Bell Pre-Order Is Now Live! 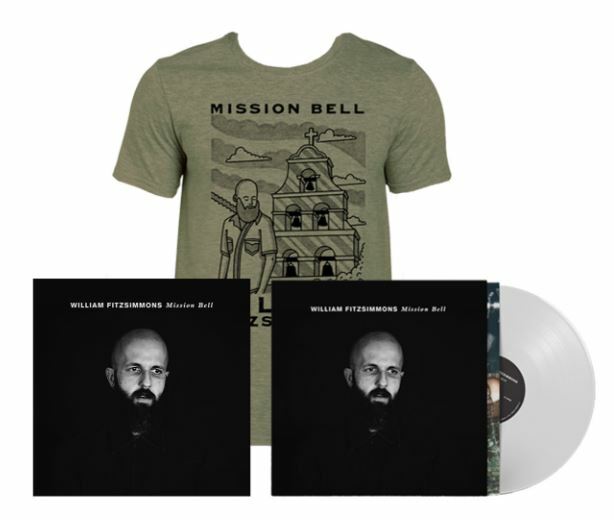 As of today, you can officially pre-order William Fitzsimmons’ forthcoming album Mission Bell at digital retailers HERE. If you’re old-school and prefer to have a physical copy you can hold, we’ve got you covered. William’s webstore now has CD and special-edition vinyl pre-orders now available, too. He’s also releasing a brand new t-shirt inspired by the album AND for an additional savings, you can bundle the various options together. You can check them out HERE. Oh, and did we mention, that all CDs and vinyls pre-ordered through the webstore will come autographed by the man himself? Items ordered through the webstore will ship on September 21st, Mission Bell’s official release day. If you haven’t yet, don’t forget to pre-save Mission Bell on Spotify to have the new album show up in your library as soon as it is released on September 21st. Also, keep your eye out for an announcement next week about a short US tour in September!